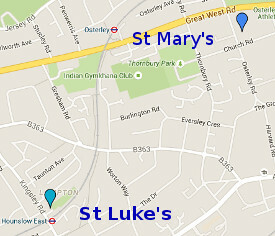 St Luke’s is a small, friendly Mission Church in Kingsley Road, just next to Hounslow East tube station. Our main Sunday service is at 11am (Communion once a month and Morning Worship on other Sundays). There is also an evening service at 6.30pm on the third Sunday of most months. See calendar for details and variations. Jump for Joy is a term-time group for babies and pre-school, accompanied by parents or carers to learn about God together and meet with others. We start with refreshments and chat, any time from 9.15am, so we're ready to have the songs and bible story at 9.45am, followed by a craft or another activity, and finishing everything by 10.30am. 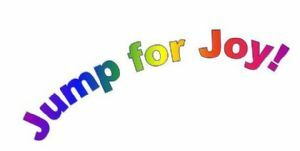 There's also a Jump for Joy group on Wednesdays at St Mary's from 9.30am. See calendar to check dates and times. Children's registration forms can be downloaded here. If you're attending for the first time you'll probably find it helpful to download a copy and bring it with you. All registration forms need to be updated each September. Messy Church is a more informal way of doing church with “messy” activities, a short act of worship and refreshments. We meet on the first Thursday of each month from 3.45pm - see calendar for more details. We need to know numbers for catering purposes so please register by completing a registration form, available at either church, or through the parish office. This is a well attended weekday said service, lasting about half an hour. All are welcome. St Luke’s has an active and friendly Women’s Fellowship group which meets on the second and fourth Thursday of each month to hear interesting talks or chat over a cup of tea. A very warm welcome is extended to anyone who would like to join. See Calendar for dates. Generally on the last Saturday of the month between 10.00am and 12 noon. Cakes, gifts, books, clothes and bric-a-brac for sale with coffee and other refreshments available. St Luke's sale. St Luke's Church seats around 60-80 people and was built about 1880 as a mission to the railway workers building the tube extension out to Hounslow. Jesus said ‘I am the way, and the truth, and the life’ (John 14:6). The early church was often referred to as belonging to the Way (eg Acts 9: 2, Acts 19.9). · To journey through life with Jesus who is the way. We’re called to be his disciples and to worship and serve him each day. · To be ‘on the way’ in terms of our mission and ministry, encouraged by the new life we see and seeking to move forward in faith and trust. 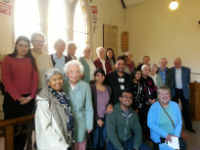 · To be a church that recognises we’re ‘on the way’ somewhere for many people - who pass by on the bus, or to come to the tube station, or shop in Hounslow or go to the local school etc. We’re in a part of Hounslow where we can be a visible sign of God’s love in action, and need to grow into inhabiting that more deeply.